We offer a wide range of accountancy services to individuals, sole traders, partnerships and enterprises. Because we are a chartered accountancy practice you have the reassurance that your accounts are in safe hands. Our accountants can manage annual accounts, using records and books, to prepare your tax return, for limited companies, partnerships of sole traders. We can help to organise your finances and meet all legal obligations in a professional and experienced manner. They will also be invaluable for providing information about your business to financial institutions for example for mortgage applications. We will endeavour to advise you on ways to strengthen your record keeping that will assist you in meeting your statutory obligations and managing your affairs. Let us take on your accounts production work as this causes many businesses concern and stress each year. We offer competitive pricing and are very flexible. GlobalTax accountants provide an comprehensive bookkeeping service, that is designed to suit each individual or business. As keeping a record of VAT and taxation is a legal requirement, remaining up to date with bookkeeping is essential. It permits a throughout knowledge of ones business finance and allow an efficient calculation on taxes. 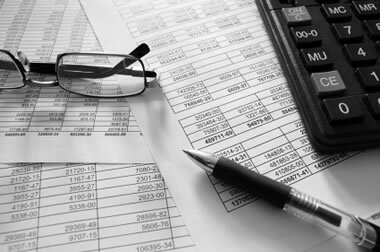 Our accountancy team can either help to create a bookkeeping system to suit you, or carry out some or all of the work, from regular management accounts to annual accounts. We offer fixed prices, agreed upon in the initial meeting, which are payable per month. SAGE (UK) Ltd is a subsidiary of The Sage Group, a leading business software company. The software can be used in various different ways, ranging from programs specifically designed for payroll, to forecasting and accounts. The software itself can be highly beneficial to companies, to help to maintain ordered records and carry out essential tasks. We offer software training, to get you up to speed with the newest developments in the business software arena and take your business forward. Limited Companies are privately held companies that are considered separate from an individual’s personal finances, and are usually owned by more than one shareholder, to limit liability. There are several types of Limited Companies in the UK, private limited, public limited and private unlimited companies. They must be registered at Companies House. Limited companies must complete an audit each year, and maintain records of all financial dealings. Our accountants can assist your limited company by annually auditing the business and helping with the general accounts. A sole trader, an individual who does business in their own name, is responsible for all aspects of their business and therefore liable for any problems that may occur in business. A sole trader does not need to notify Companies House, unlike a limited company, but must register as self employed with HMRC. As the business income will be considered part of your personal income, completing the yearly tax return will be required. National insurance contributions and income tax will have to be paid on all profits. Sole traders are in potentially risky circumstances, as all debt lies with the individual. Therefore, Globaltax offers ways to help you to control accounts, and monitor tax payments, to ensure you re adhering to government regulations. Our accounts can provide support and help for partnership businesses. A partnership is made up of two or more self - employed individuals who share the risks and profits in a business. Each partner pays tax on their share of the profit. They can be active members and run the business, or sleeping partners, in which they simply help to fund the business. As with the self employed, responsibility and liability lies solely with the individuals involved. Management accounts are a vital part of a successful business. They include the purchasing process, sales reports and employee records. They allow a business to run efficiently, and to forecast business growth. If a business has more than one outgoing, each separate output may have a specific record. As most businesses produce these monthly or quarterly, maintaining them day to day is important. Our accountants can help in putting account management systems into place, or be contracted to organise business accounts.